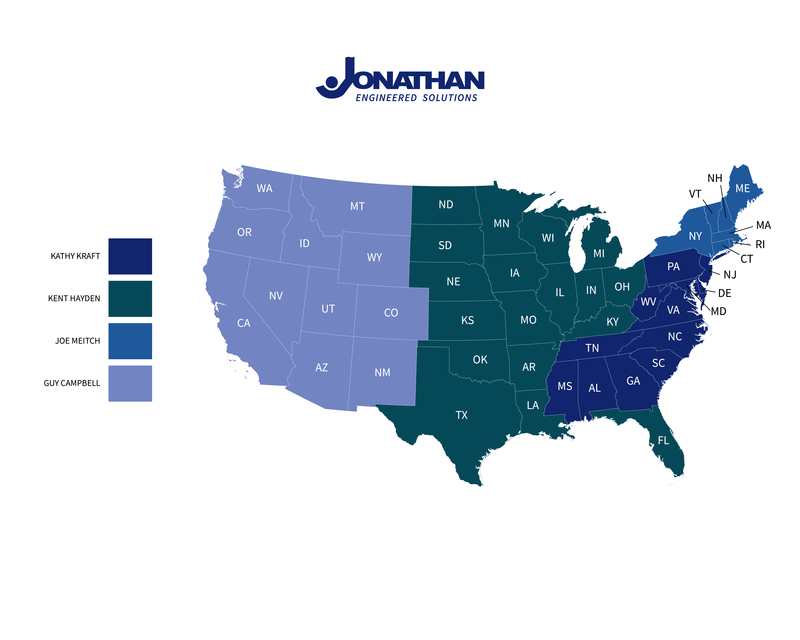 Thank you for your interest in Jonathan Engineered Solutions. We appreciate you taking the time to contact us. Should you wish to speak to a customer service representative now, please do not hesitate to contact our corporate offices at 714-665-4400. We stand ready to assist you. To find a local representative please narrow down your search by selecting a state or market below.